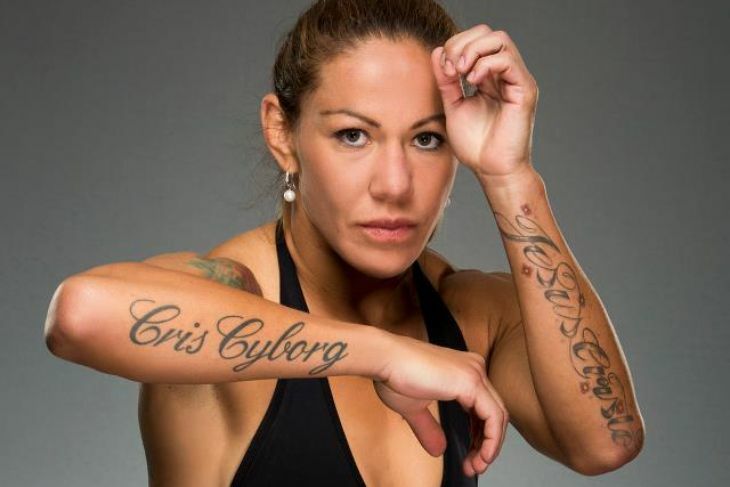 The inspirational "Cyborg: Cristiane Justino" biographical documentary fully showcases the ever-dominant Brazil-born Professional Athletes unique journey beyond the glory of the bright lights of Pay-Per-View. The Brazilian is currently signed with UFC and is also the reigning and defending Invicta FC World Featherweight Champion; Justino won the Strikeforce title by defeating Gina Carano via first-round TKO. Justino has been named Female Fighter of the Year by Sports Illustrated and Examiner; Justino was also previously married to Bellator MMA star Evangelista "Cyborg" Santos. Cristiane Justino currently boasts a 17-1 record in Mixed Martial Arts and a 3-1 record in Kickboxing (Muay Thai); Justino is 7-1 in Submission Grappling and holds expertise in Muay Thai, Brazilian Jiu-Jitsu, Kickboxing, Wrestling, Submission Wrestling and Boxing. Cristiane Justino fights out of San Diego, California and is frequently talked about in discussion regarding a dream UFC Pay-Per-View bout with UFC sensation and Hollywood superstar Ronda Rousey. Cristiane Justino has publicly said that "Ronda Rousey is afraid to say my name". Representing Brazil at the IBJJF World Jiu-Jitsu Championship, Justino came first place and won Gold medals in 2011 and 2012 in Long Beach, California. At the ADCC Submission Wrestling World Championship 2009, Justino claimed a Bronze medal. In March 2015, Cristiane Justino made her highly awaited UFC debut at UFC 198 against Leslie Smith which witnessed Justino winning the bout against Smith via TKO in the first round. Cristiane Justino subsequently faced UFC newcomer Lina Länsberg at UFC Fight Night 95. The referee stopped the UFC Fight Night 95 bout midway through the second round after Länsberg could not effectively defend herself.